Dext Heat Recovery came to us because they needed a technical partner to help develop a product that recycles the wasted heat from industrial kitchens. 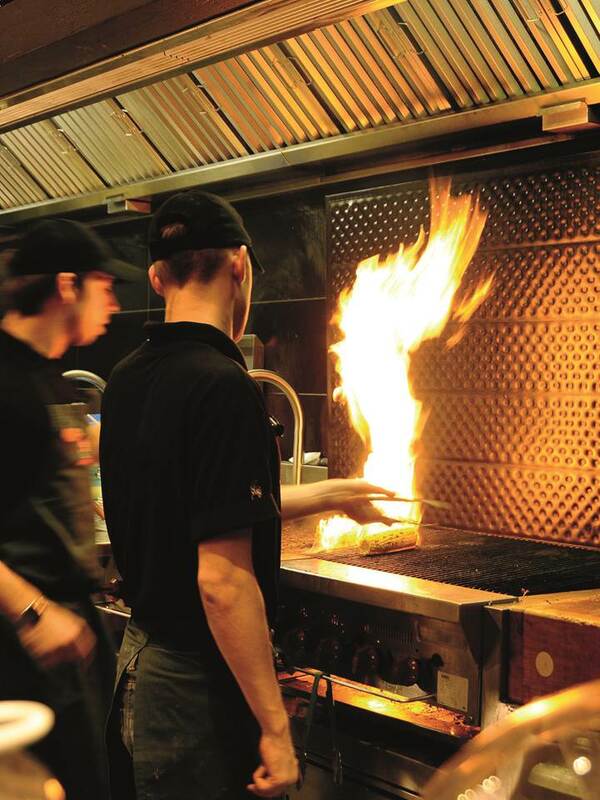 Using cutting-edge techniques and facilities, we were able to help them reduce energy costs and environmental impact for major restaurant chains, including Nando’s and Frankie and Benny’s. In commercial restaurants, food is heated from refrigerated temperatures to high temperatures relatively quickly. This requires a lot of energy and often generates a considerable amount of waste heat. Our energy specialists were able to help Dext successfully develop innovative heat exchange systems to recover that waste. The heat recovery system had to deliver high performance in a challenging environment, working to recover low-grade waste heat and reintroduce it to the system while overcoming real-world problems like grease fouling and flame protection. Using state-of-the-art modelling techniques including CFD (computational fluid dynamics), a series of experimental runs and analytical engineering methods, we helped Dext to develop a heat recovery plate that can be installed close to the main heat source within the kitchen, either directly behind a chargrill or cooker, or within a canopy. The heat is absorbed by the plate and transferred into a sealed water circuit, which is circulated through a coil in a cylinder for hot water generation, providing substantial energy savings for the end user. As well as showing very good performance under difficult operating conditions, these systems are effective, robust, relatively low cost and easy to clean. After the initial trials, the system is being installed at a number of restaurant chains, including Nando’s and Frankie and Benny’s. The initial consultancy work resulted in a successful Knowledge Transfer Partnership (KTP) with a KTP associate working between the company and the University. The associate has since been taken on by the company in a senior role to help develop the company’s new technologies and future products. We had created a new technology that could not be tested to any normative standards, so we approached Sheffield Hallam to gain some independent validation to offer to our potential first client. The client had indicated they were prepared to trial our system if it proved viable. Sheffield Hallam seemed best suited to our needs – lateral thinkers and able to work around our budget and timescale. The initial work exceeded our expectations and we have since established a close working relationship with the team – they are our 'go-to-guys' for any viability or improvement studies and CFD modelling.